Metamorphosis Energy utilizes several special proprietary designs for our solar awnings to maximize for sun exposure and create a perfect awning array for any commercial or retail center. Many of the businesses we work with find that just by utilizing existing parking space, they are able to offset the cost of costly utility bills, while raising the quality of their customer experience. 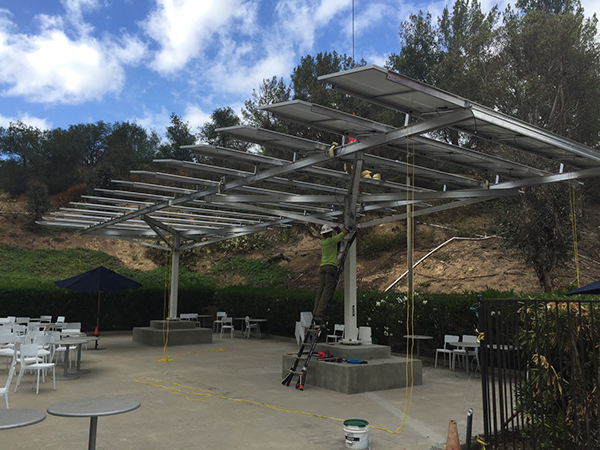 The cost of energy savings can often pay for the cost of solar awnings or solar carports within several years.